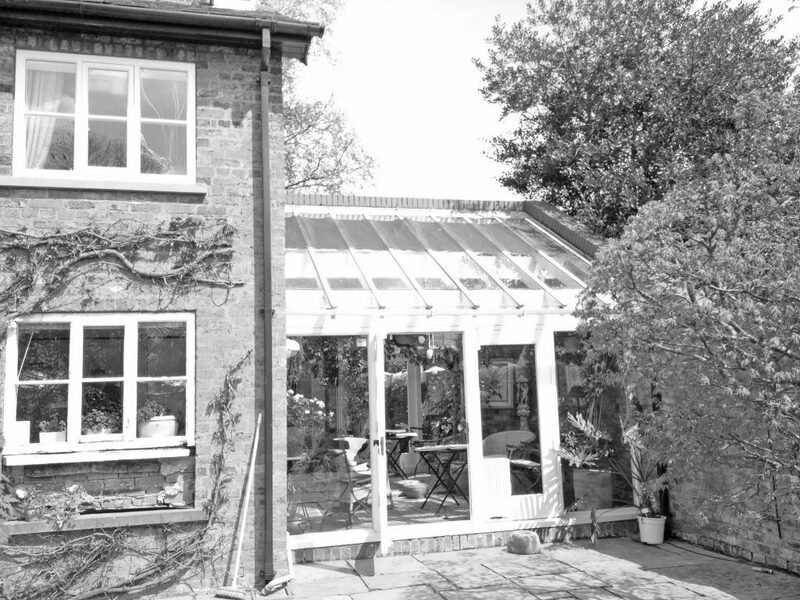 Dubbed Edge is an existing cottage in Mobberley, Cheshire. 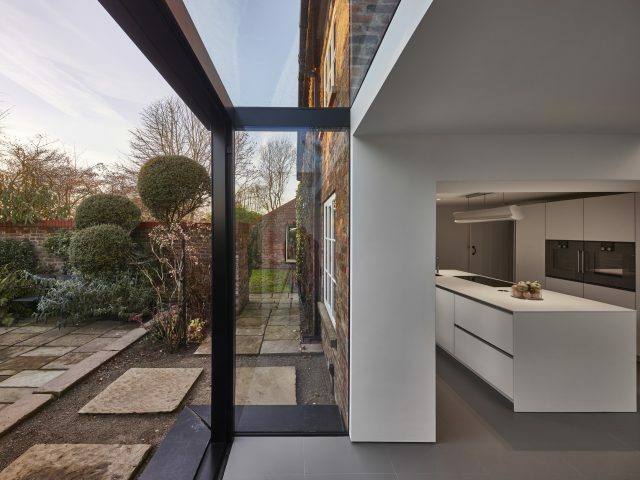 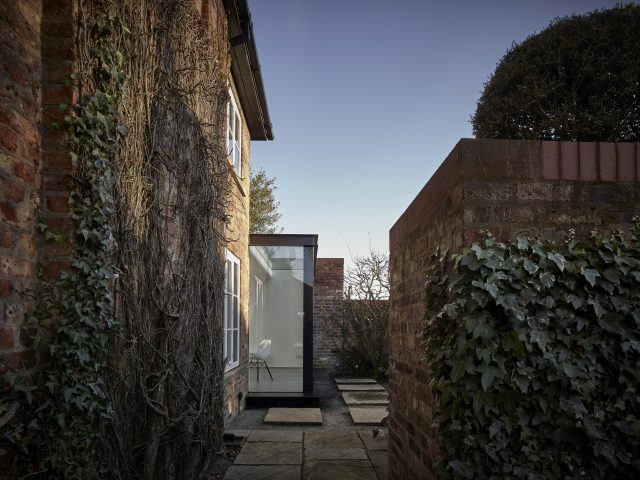 The brief was to remodel the kitchen and associated living spaces, creating more spaces through extending the house within the confines of an existing walled garden. 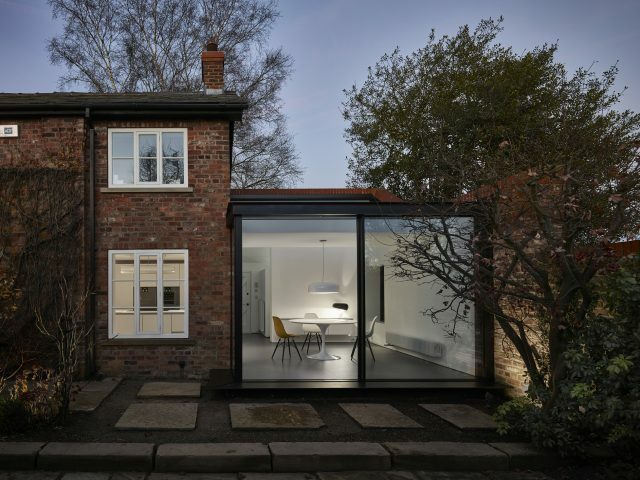 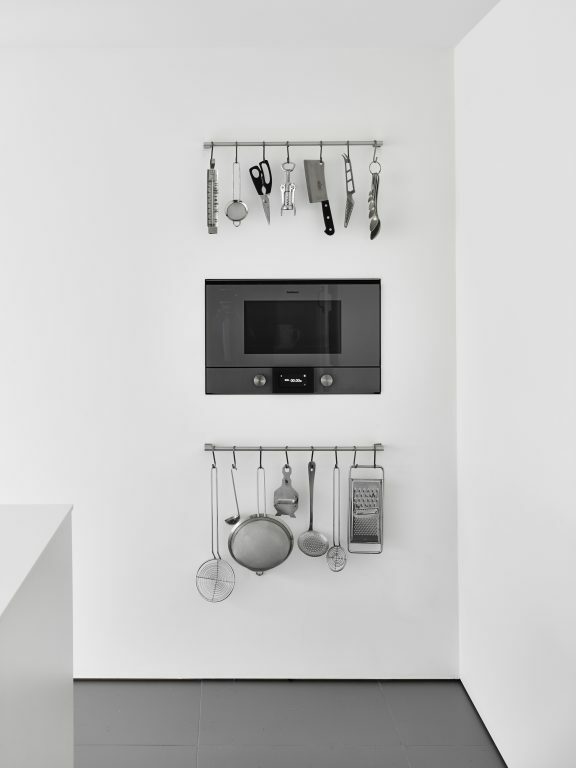 These new spaces are contemporary in style and contrast with the period nature of the existing house. 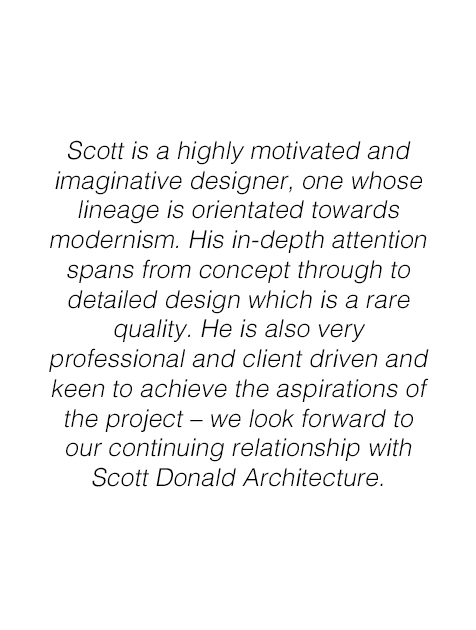 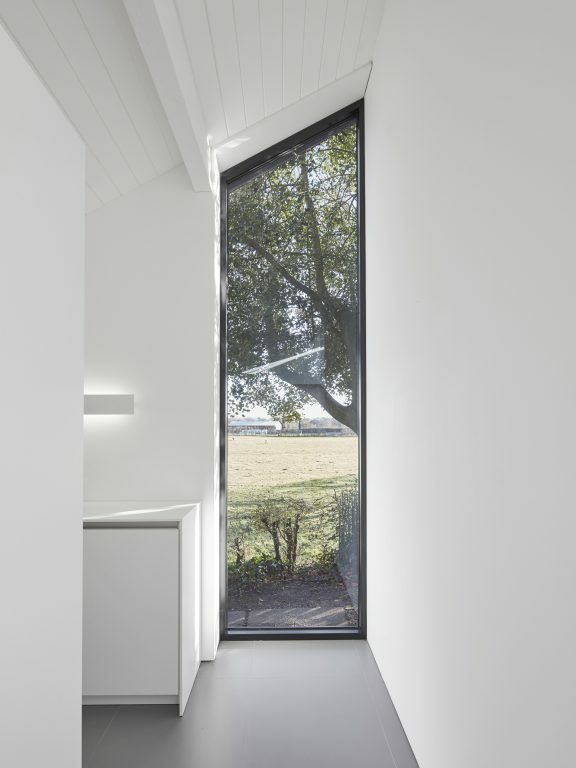 Throughout, details and interfaces with the existing building were carefully considered to maximise the clean lines, both inside and out. 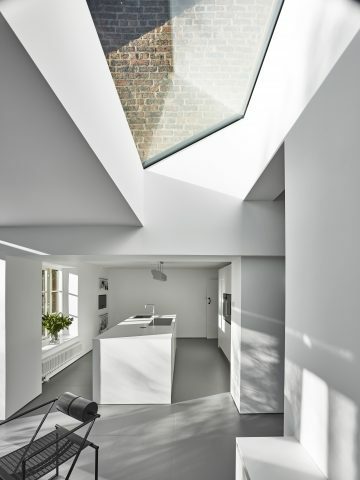 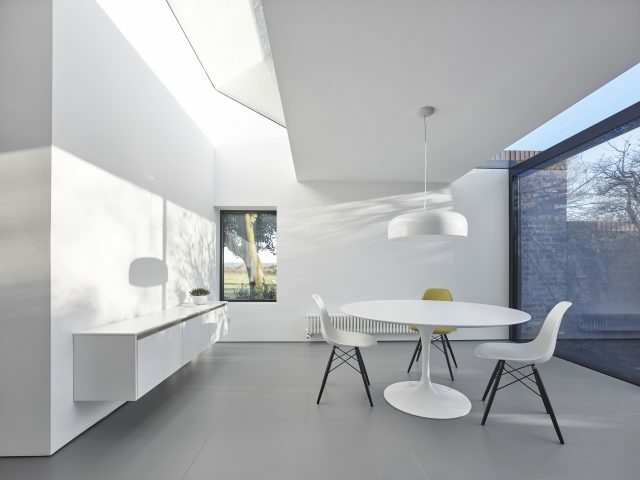 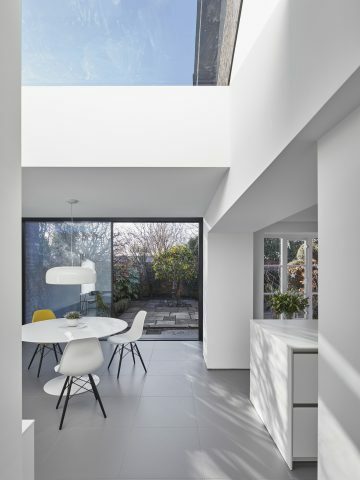 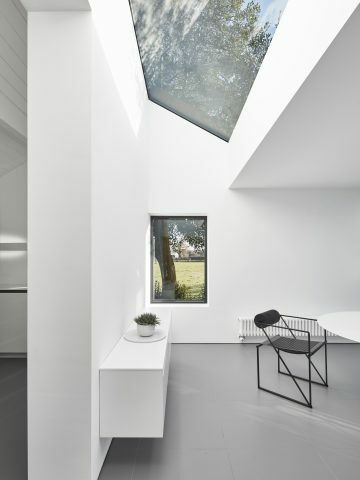 Two sections of roof glazing flood the spaces with natural light, whilst also creating dynamic skyward views. 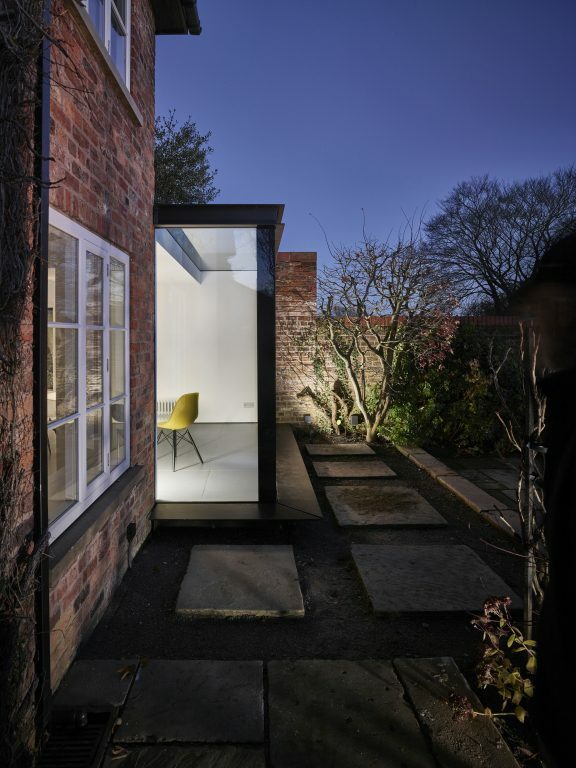 In addition to remodelling and extension works, the glazing to the cottage was re-designed throughout, combining original style timber windows with large, frameless structural glazed elements. 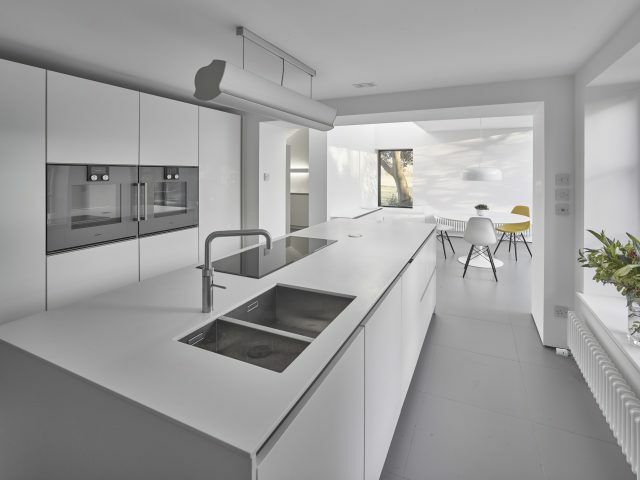 Other elements of the project include remodelling of the first floor to provide improved bedroom and en-suite accommodation, development of storage outbuilding and construction of a new carport building.